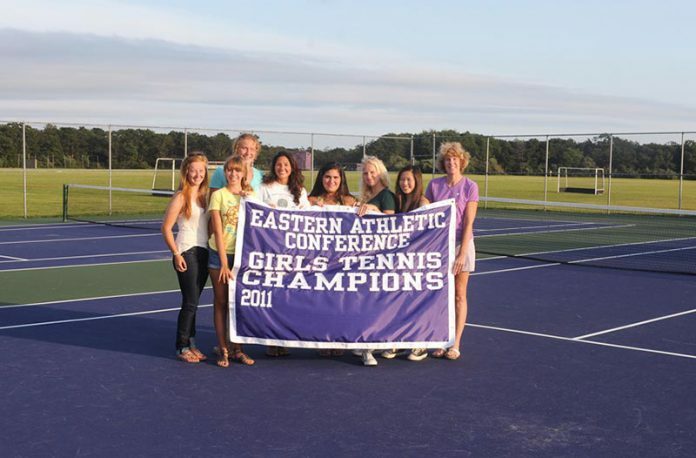 The Martha’s Vineyard Regional High School girls tennis team celebrated its first-ever Eastern Athletic Conference championship, in a small ceremony, Friday at the MVRHS tennis courts. The team and head coach Connie McHugh unveiled the deep purple EAC championship banner on the school’s recently resurfaced purple courts. The banner has “2011” printed in the lower left corner to leave room for what the team hopes are many more future successes. The girls team won the EAC title in June, finishing 15-3 overall and 7-1 in league play. 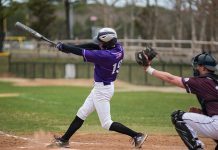 The Vineyarders reached the state quarterfinals, before bowing out to Norwell.